It was another short but wonderful week at The Gan. 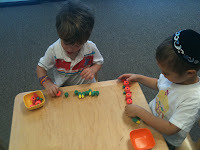 A lot of work was done by busy hands. 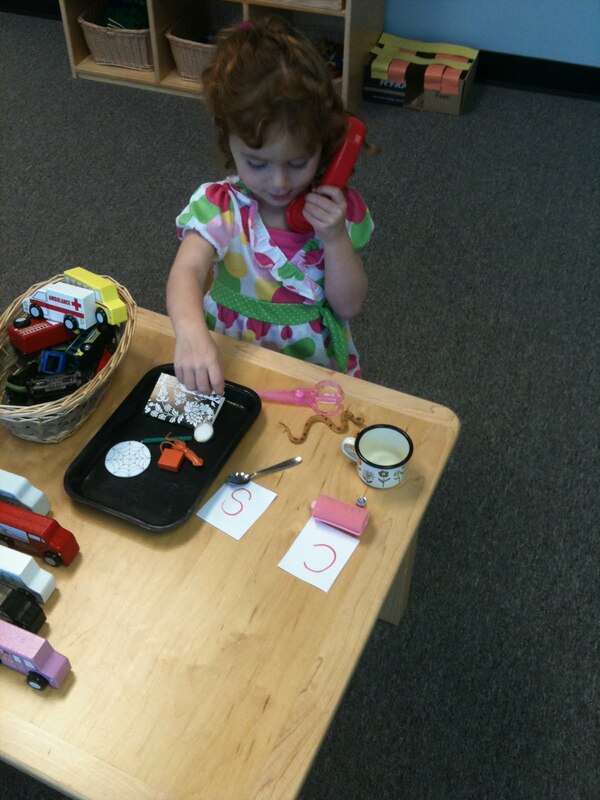 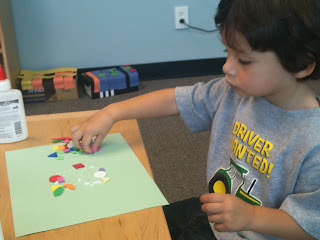 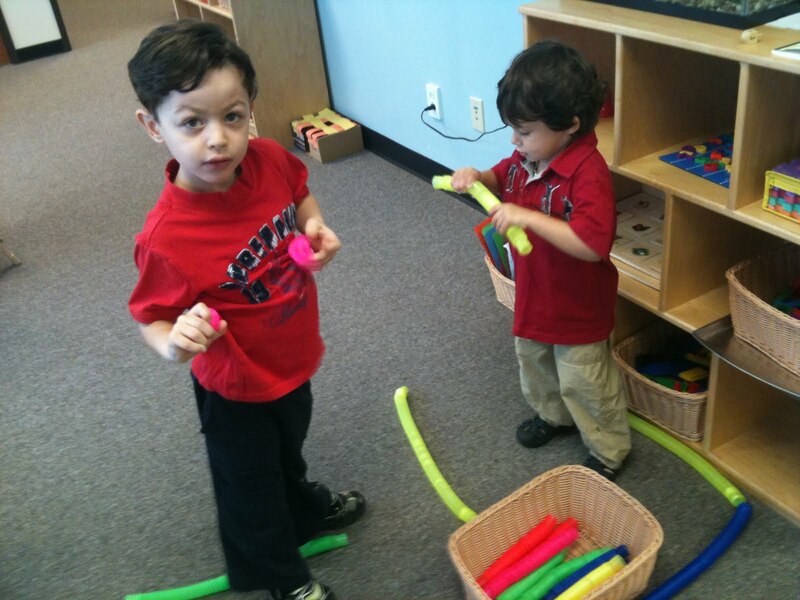 Before children begin to write and read, they need to develop their ability to distinguish sounds. 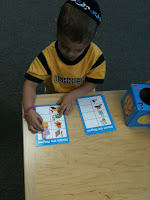 Each week we will be discussing a specific letter. 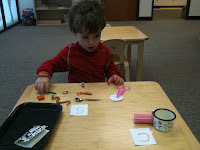 This week we continued with S. Today, we sorted objects beginning with C and S.
This activity allowed the children to review C, and distinguish between the two sounds. Rhyming is a way to identify similar sounds. 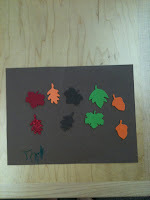 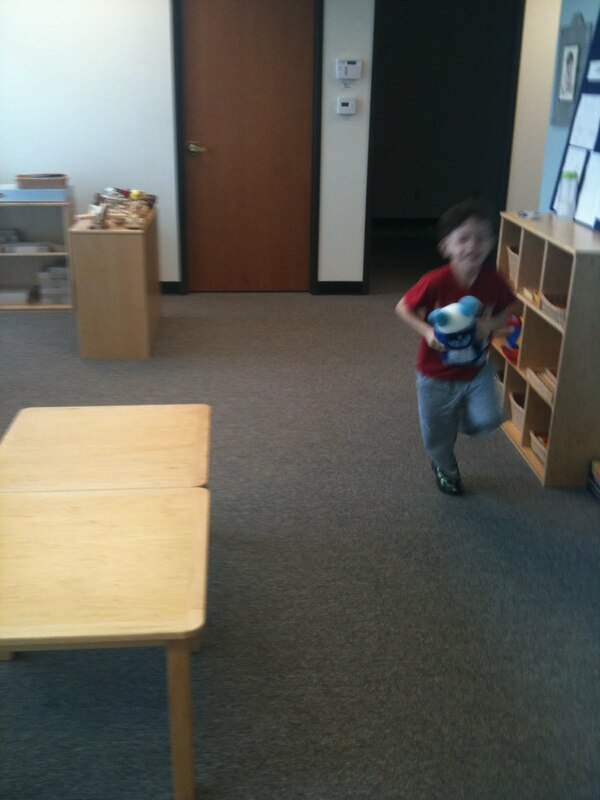 The children were encouraged to match an object to the picture it rhymed with. This also created the opportunity to create silly short sentences like "the duck is on the truck." 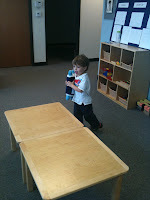 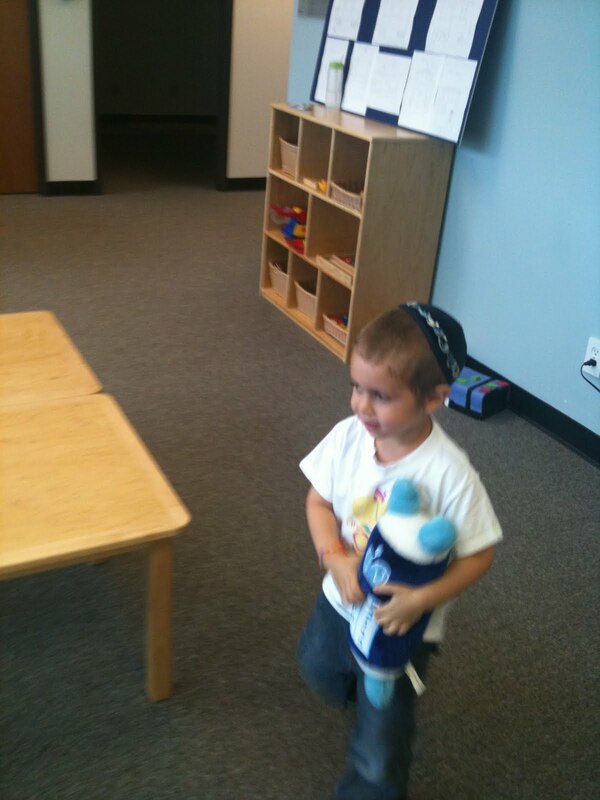 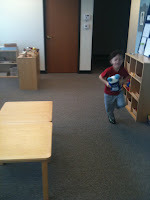 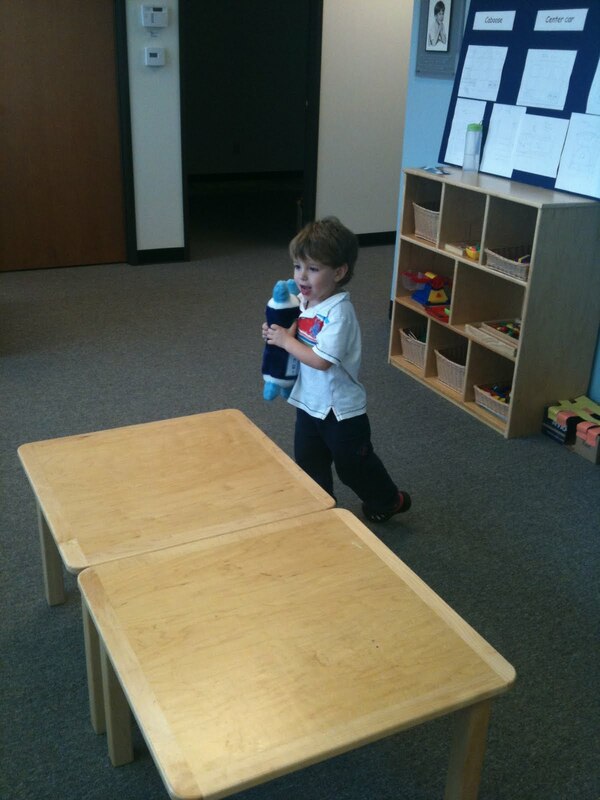 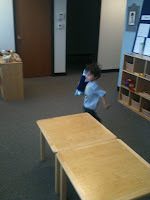 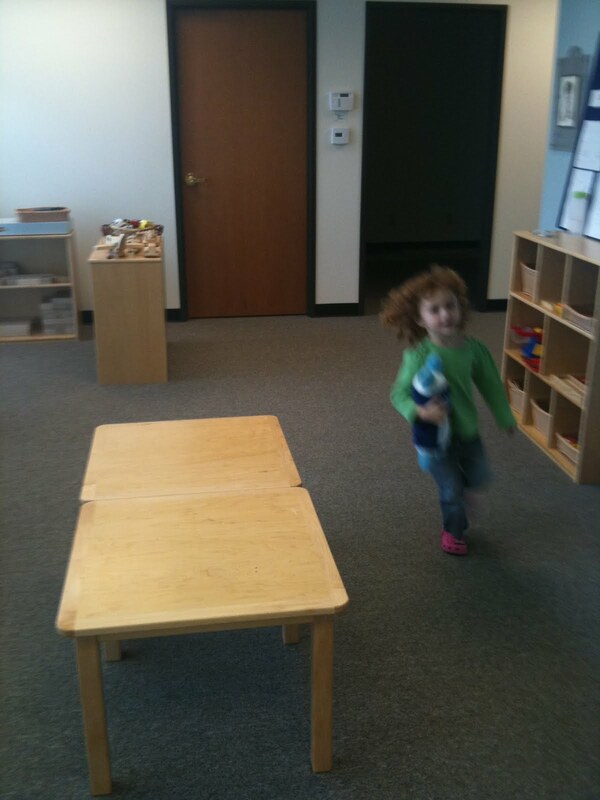 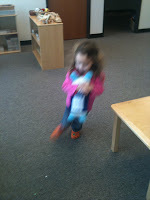 In honor of Simchat Torah we danced with our Torahs around a table 7 times. 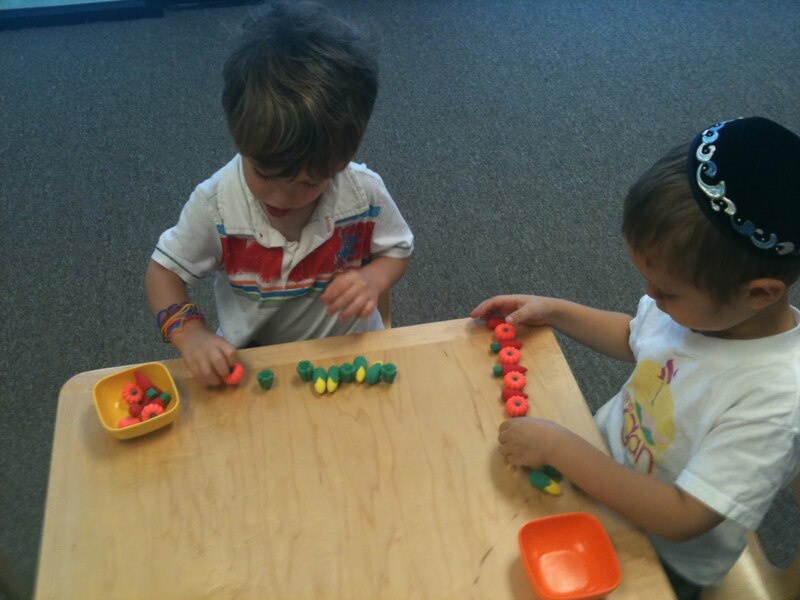 The children counted for each other and we discussed how in Shul on Simchat Torah people go around the Bimah table seven times with the Torah. Rabbi led us in a blessing and we each had an opportunity to shake the Lulav and Etrog. 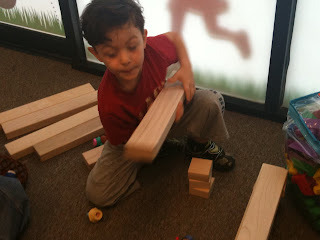 One of the standout moments this week for me was attending the pizza party in the sukkah with the children, their families and the community. 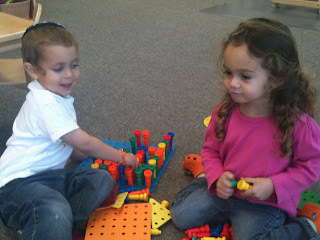 Friendships are being created and mitzvahs are happening daily in the classroom.